Adding a macOS Installer to Jamf Admin is the first step to installing a clean copy of macOS on computers. To manage macOS Installers, you need a distribution point set up in Jamf Pro. For more information, see About Distribution Points. 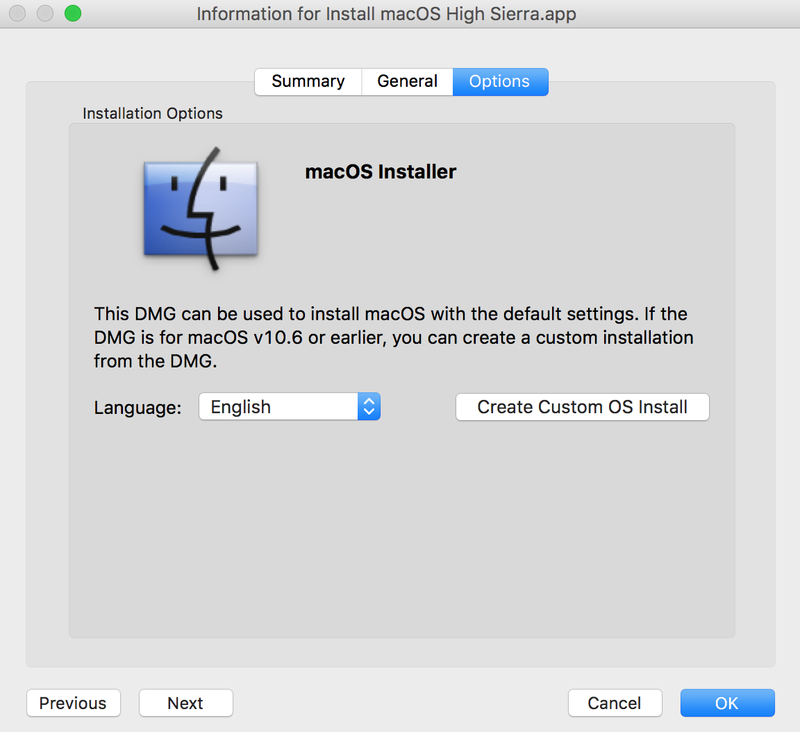 To add a macOS Installer to Jamf Admin, the installer must be a .app file from the Mac App Store or a DMG. 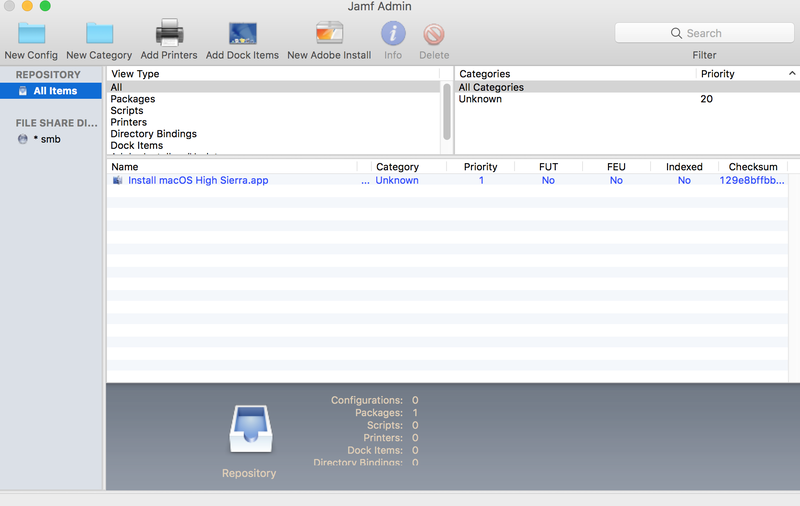 Adding a .app file for macOS to Jamf Admin adds it to the master distribution point and Jamf Pro. 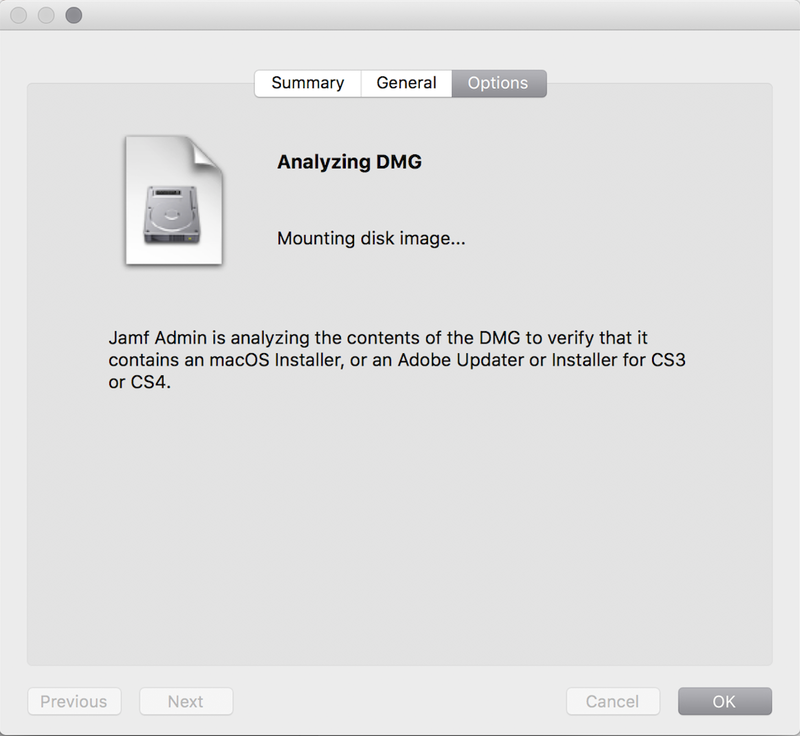 Jamf Admin extracts the InstallESD.dmg file from the .app file and then analyzes the contents of the InstallESD.dmg file. The InstallESD.dmg file is displayed in blue text in the Unknown category until you add it to a category. Adding a DMG of a macOS Installer to Jamf Admin adds it to the master distribution point and Jamf Pro. 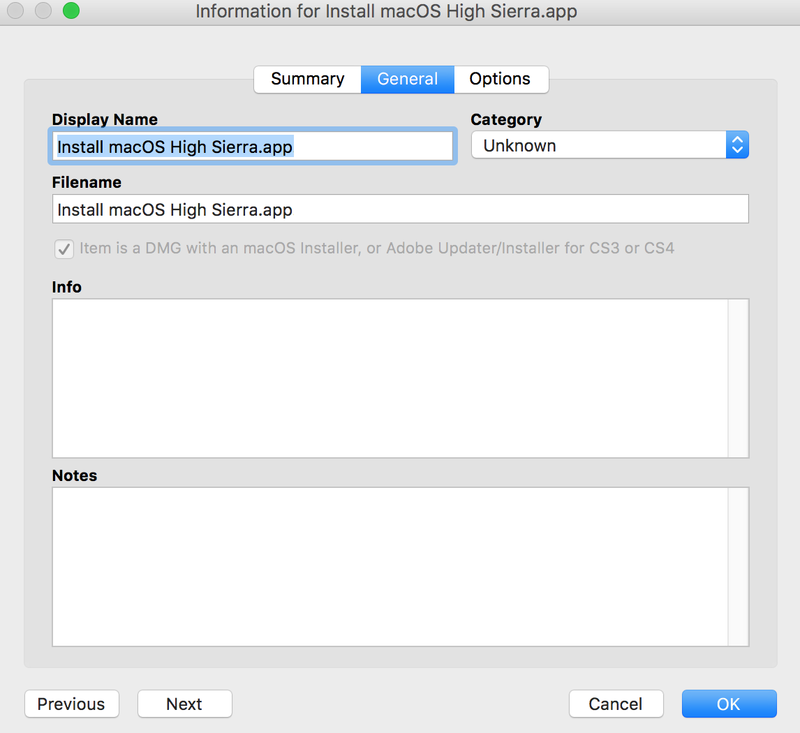 Be sure to select the Item is a DMG with an OS X Installer, or Adobe Updater/Installer for CS3 or CS4 checkbox. When the Options pane appears, choose a default language for the installation from the Language pop-up menu.